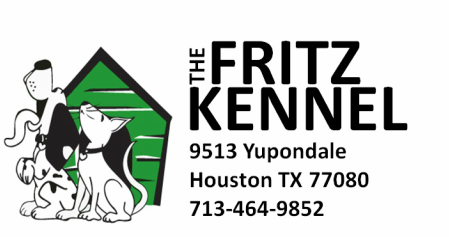 The fritz Kennel is looking to fill a kennel technician position. Daily work includes but not limited to opening and or closing, cleaning, sanitizing dog kennels, supervising dogs inside and out, feeding, etc. Experience in the field is a bonus but we are also willing to train new applicants to fill our position. We are looking for motivated individuals with their own transportation, a strong work ethic, that don’t give excuses, but look for solutions. Someone not afraid to get their hands dirty. Someone that can work day, night, weekends and holidays. If this sounds like you send us a resume if you have one to the email on the right side. If you don't have a resume stop by and pick up an application. In the subject line write Kennel Technician.